I’m a little behind in my reviewing at the moment. I finished ‘The Odyssey’ over a month ago, and due to general busyness I have not made it to reviewing it. In this case, it works out okay because the plays in “The Oresteia” occur between Homer’s Iliad and Odyssey from a chronological standpoint. Many have not heard of “The Oresteia” by Aeschylus, and I must confess to not having known about the work until two events – a mention of the book by a friend when I encountered the plays at a used bookstore I frequent (resulting in purchase) and the reading of Christopher’s many blog posts on the work at Prose. 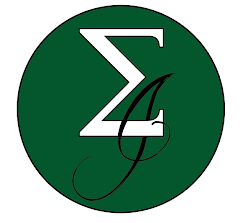 Before I get into the core of the review, I wanted to mention that it’s important to look into information about the translator prior to picking up a book. If you don’t have time or energy to do this and have not come across anything, like myself in this case, pick a publisher you trust. I read a lot of books published by The Folio Society and Everyman’s Library (Knopf), and I have had some really great results. Just because a book is expensive (I have a love for some of the old Franklin Library/Easton Press editions), doesn’t mean the translator is the best one. Since Franklin Library stopped publishing some time in the 80’s, the translations which have been published after this decade won’t be accessible in these editions. I find though, that some of the older translations are more true to the original text, as there is not as much of a tendency to dumb things down for readers who don’t want to read ‘tough’ works. 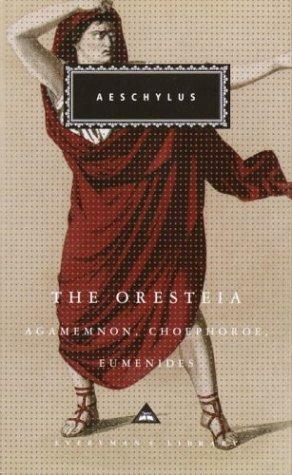 My edition of The Oresteia was translated by George Thomson in 1965. While I’m still on the subject, I want to say that I have no idea how to compare translations, but I know what I enjoy. This translation was very poetic and I found myself marveling at how beautiful the language was. There were times where I re-read or stopped and actually said ‘wow’, before I continued. The plays had a fluidity that was refreshing, and I didn’t get the feeling that I slogged through the work, as is sometimes custom with ancient Greek works. Before I continue, I should mention that the titles of each of the plays in my edition are as follows: Agamemnon, Choephoroe, Eumenides. I have seen other editions title the second play as “The Libation Bearers”, which I believe is an English translation of the Greek word “Choēphoroi”. The first play, Agamemnon, is based on the time period after the Invasion of Troy, but before the Odyssey of Odysseus. King Agamemnon comes home to fan fare after being away for ten years. His wife, Clytemnestra, welcomes him with open arms but is secretly brooding over the fact that he had some part in their daughter’s (Iphigenia) death. Also, he’s obviously been cheating on her over the course of the war with his concubines. Clytemnestra has been unfaithful too, and she solicits help from her lover Aegisthus in planning the death of Agamemnon. The second play, Choephoroe, deals with Orestes (Agamemnon’s son) and Elektra (Agamemnon’s daughter) planned revenge on their mother (Clytemnestra) and her lover (Aegisthus) for the murder of their husband. They are the ‘Libation Bearers’. Dictionary.com defines libation as “a pouring out of wine or other liquid in honor of a deity”, so perhaps this deals with the fact that both Clytemnestra and Aegisthus are murdered by wish of Apollo. The third play, Eumenides, deals with the trial of Orestes for the murder of his mother. Pallas (Athena) is the judge and the jury is made up of deceased Greeks and the Erinyes, deites of vengeance. The Erinyes state that if Orestes is not made to die for his crimes, they will bring down pestilence upon all the Greeks, regardless of the wishes of Zeus. After the trial ends in the favor of Orestes (Apollo has spoken on his behalf and the result of the jury is a tied vote), the Erinyes are set upon vengeance but Athena manages to convince them that violence is not the answer and offers them a position with the Gods. At this point there is a little kumbaya moment, which maybe I’ll post later when I get around to uploading the quotes. The thing that stood out for me about the writing, other than the beautiful poetic nature, was the way thoughts and actions were described. Aeschylus went to great lengths to explain the history through the dialogue of his characters, and their emotions and motives for why they would be committing heinous acts. Then there would be a fade out, and a new scene would begin with dead bodies everywhere. This is very different from the Shakespearean plays like Hamlet and Macbeth that show you the action scenes. I can’t honestly say which I prefer, but the way the action is glossed over is counter to Homer’s stance – which was to show the audience all the gore directly. I’m very glad I was able to get around to reading these plays, and I suggest that anyone who is into the ancient Greeks, gives these plays a read. They were extremely poetic (for those of you daunted by the Greeks: short and easy to read too) and filled in one of the gaps between the Trojan war and Odysseus’ journey home. I hope to read the Aenid by Virgil as well, to read firsthand the manufacture and unraveling of the infamous Trojan horse in the city of Troy.